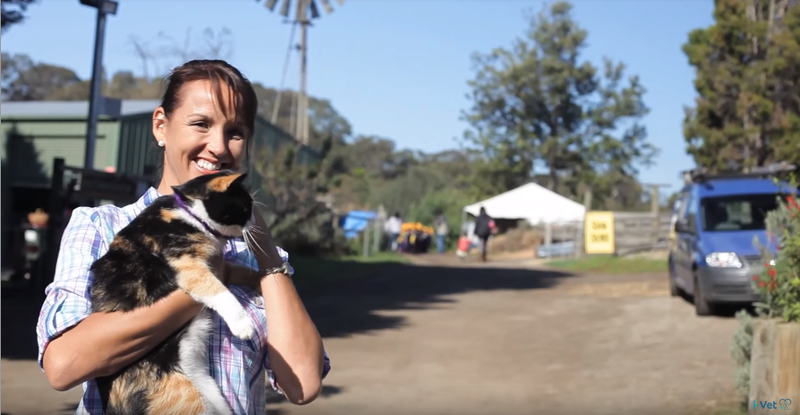 Living far from the big city lights may seem the perfect way to unplug and unwind, but this rural vet found technology was the thing that brought her community closer. Dr. Sue Samuelsson runs one veterinary practice in Darwin, the capital of Australia's Northern Territory, and another in a little town about 500 miles away called Nhulunbuy. Accessing veterinary care can prove almost impossible for those living in remote areas of Australia. Life can be harsh for both animals and humans, and a lack of vet care can easily become a death sentence. A true Territorian, Samuelsson loves where she lives, but not in a dreamy ‘wouldn’t it be nice to live in the middle of nowhere’ kind of way. She is well aware of the challenges. In the early days of working in her remote community, Samuelsson would often receive calls from pet owners who were unable to access veterinary care, desperate for any sort of diagnosis or advice she could offer over the phone. So Samuelsson set about coming up with a solution. They say necessity is the mother of invention, and those living in remote communities know this better than most. On a mission to create an accessible vet service for her community, Samuelsson started i-Vet, the world’s first virtual veterinary clinic, so that those stranded by distance, disability, or illness could access the care their animals need. “We aren’t a fancy, high-tech referral center with all the bells and whistles, and sometimes we just need to improvise to get the job done,” Samuelsson says. And improvise she does – with pet owners becoming Samuelsson’s assistants on Skype calls as they help her to examine and assess their pets. Samuelsson lending a hand at the Fannie Bay Equestrian Club. Now it seems every day the world ushers in a new technological breakthrough, but for veterinarians the job has remained relatively unchanged for a very long time. Though conquering distance with a tele-vet service might seem the obvious solution in hindsight, it has brought incredible opportunities to an industry that has seen very little change in the area of accessibility over the years. Samuelsson’s foray into entrepreneurship came about almost accidentally. When she followed her partner to the tiny mining town of Nhulunbuy it soon became apparent that making a living as a vet in a place with such a small and sparsely spread population would be tough. Fortunately, she found her groundbreaking solution, but it wasn’t all luck, and finding solutions to your customers’ pain points that also solve your own business problems is at the very heart of entrepreneurship. Another important aspect is innovation, and just because Samuelsson has found her business niche doesn’t mean she is about to stop innovating any time soon. So does she have any further tips for women wanting to make their mark as entrepreneurs? Article originally published at www.i-vet.com.au and in Smart Healthy Women Magazine – The Female Entrepreneur Issue.